Isolation of bioactive plant secondary metabolites. Synthesis of natural product derivatives. 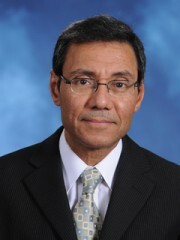 Dr. Osman’s interests include isolation of bioactive plant secondary metabolites; structure elucidation of natural products; synthesis of natural product derivatives; microbial transformation of natural products; pharmaceutical botany, including macromorphology and microscopical examination of medicinal plants.